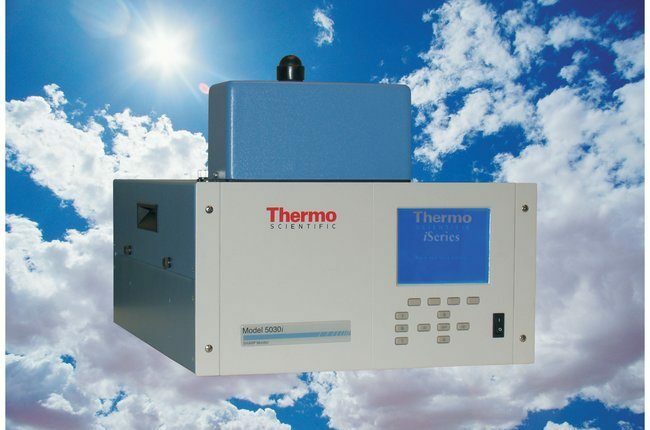 Combine the precision of light-scattering nephelometry with the accuracy of beta attenuation technology with the Thermo Scientific™ Model 5030i SHARP (Synchronized Hybrid Ambient Real-time) particulate monitor. This automated, continuous, non-step wise, ambient particulate monitor measures PM-10 and PM-2.5 and is built on the proven iSeries design platform. The Model 5030i SHARP monitor is developed on the renowned Thermo Scientific iSeries platform design and offers unprecedented ease of use. The monitor’s light-scattering nephelometry is checked against the mass concentration of the beta attenuation data for calibration. It utilizes non-stepwise measurement to auto-advance the particulate-laden sample, avoiding potential particle loss.